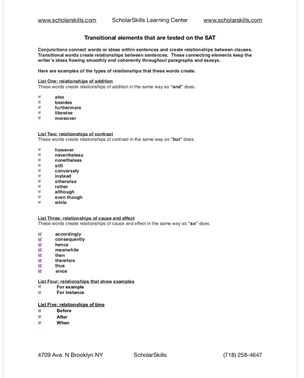 Download The Writer's Checklist to help your students develop a systematic way of checking and editing their own writing. 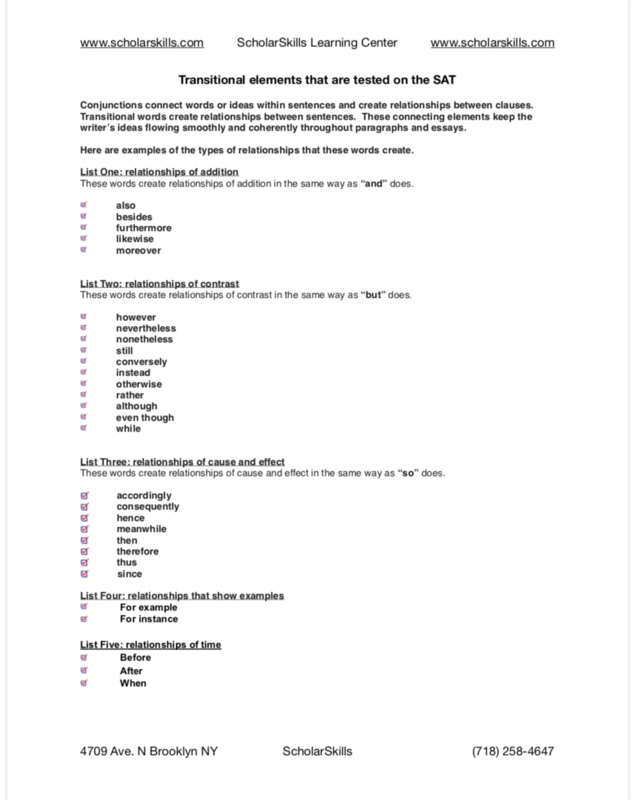 Click below to download the printable list of transitional words and phrases that help students to create cohesiveness in paragraphs by establishing logical relationships between sentences. Please contact us for more information and with any questions you might have.